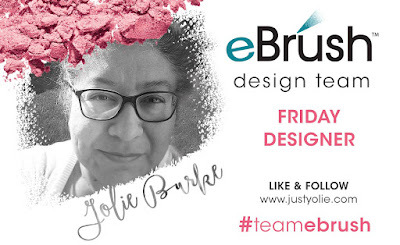 This month the Craftwell Design Teams are featuring Teresa Collins' dies and embossing folders. 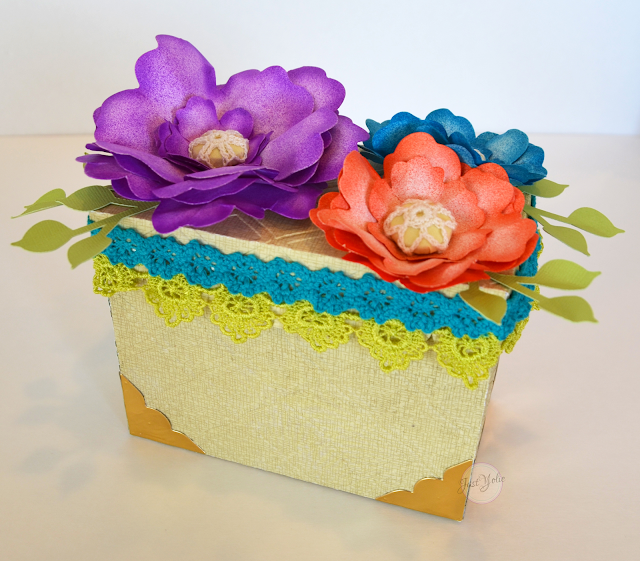 I created a blooming box perfect for Spring. 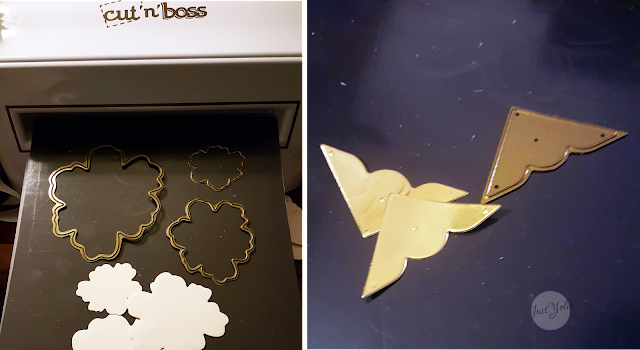 I first took the flower die and cut multiple pieces of each flower. I also cut photo corners on gold foil paper. Please note when using the magnetic shim, place your die, with the smooth side down. I wasn't paying attention on my last cut and placed the die wrong and ended up cutting my magnet sheet. I now have a cute magnet photo corner for the fridge. The Cut N Boss' embossing is nice and deep, but you need to use a heavy paper weight otherwise it will tear your paper. The results are simply gorgeous. 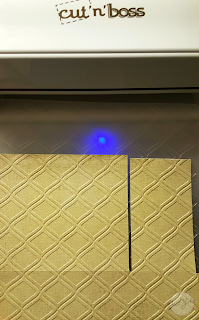 I cut the box on the Cricut Explore and then embossed it using the Diamond embossing folder. 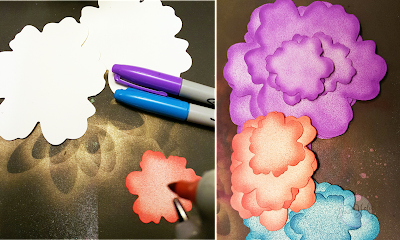 I then took my petals and eBrushed both front and back using Sharpies. Here is the top view of the Blooming Box. 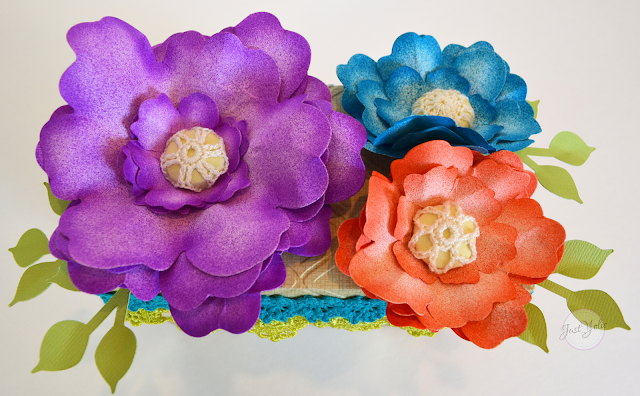 I added sprigs to the flowers and used pretty buttons for the centers. 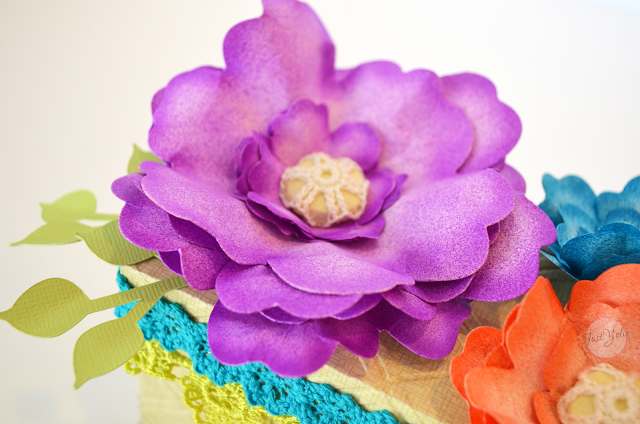 I felt the lid needed more color so I layered two lace ribbons around the edge. Love these colors! They make me happy! I added the photo corners to each side of the box. It really helped ground my box.